100% soap free and mild foaming face wash nourishes and hydrates your skin, keeps it supple and soft. Draws out impurities, balances your skin pH and leaves a younger and radiant looking skin. It works wonders for all skin types. Especially effective for dry skin. 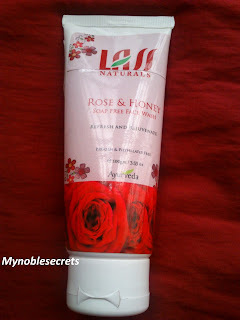 Lass Naturals Rose & Honey Soap Free Face Wash is coming in tube packaging and in Rose colour with Rose flower pictures. It is Little heavy Pack, but it is travel friendly. It is like other face wash pack and easily can take Face wash by its flip open cap. This Face Wash is colourless runny liquid and smells very yummy. 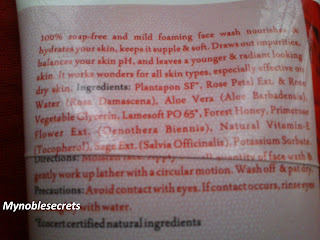 Yes, very mild Rose smell will roaming around you for some time after washing your face. It lathers well and cleans the skin thoroughly. 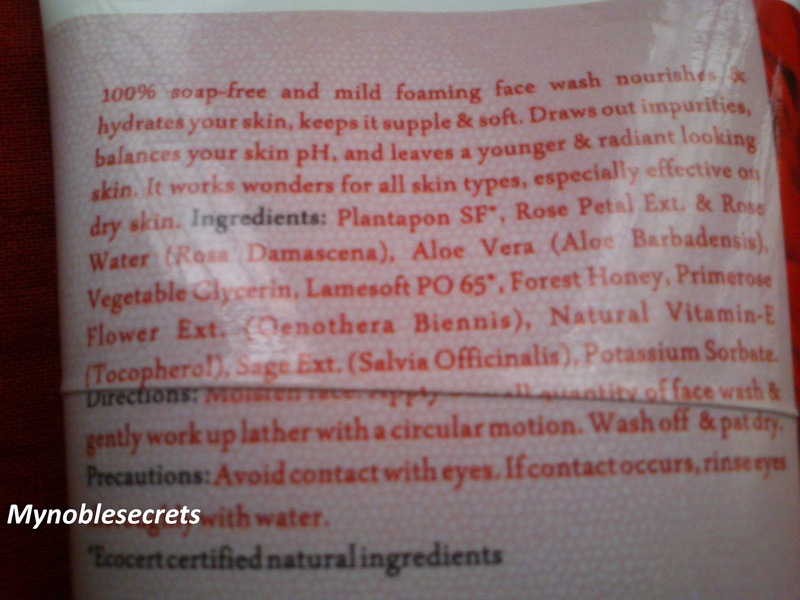 This face wash removes dirt from face well and leaves skin smooth. 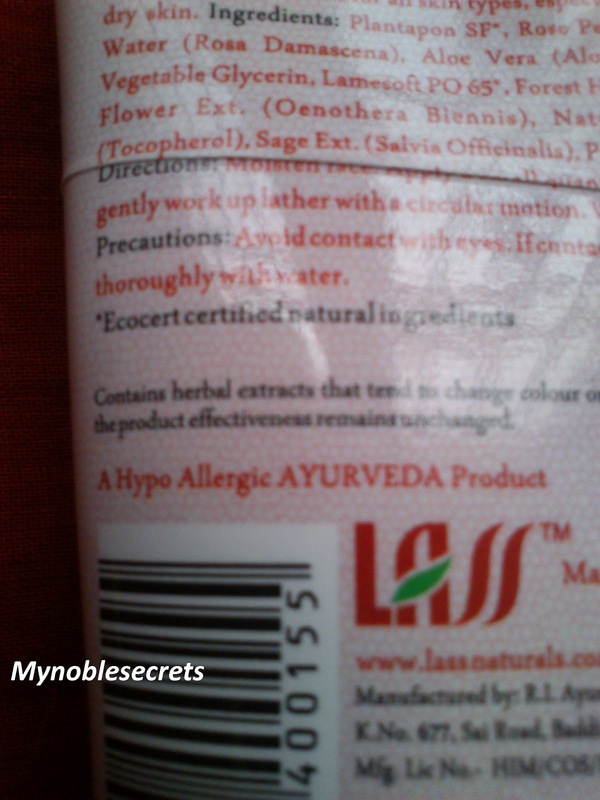 It neither leaves skin oily nor dry. This Face wash leaves skin as it is. 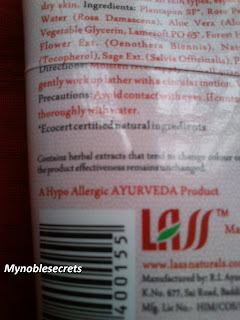 I have checked this face wash with make up thinks also, with My water proof Mascara, Lip liner and Normal Kajal. It has washed all the things cleanly and you can see a tinge of kajal because Kajal always needs little olive oil or coconut oil to remove well. 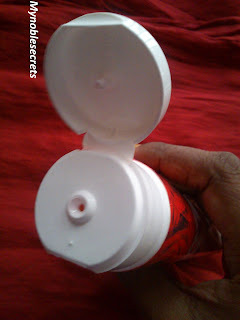 It is very runny liquid so you have to control the amount of face wash while taking out. This is totally worth for the price. Especially dry to combination skin girls will love this face wash very much and my oily skin also loves this face wash.
Sweet Rose smell and mild one. Suitable for dry to combination skin girls.